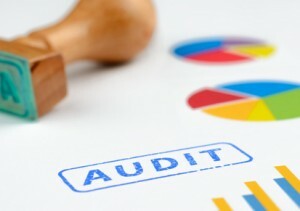 If you are a limited company and your turnover is greater than £5.6 million, then, unfortunately, you need an Audit. Doesn't seem very fair but, in theory, it is designed to protect company shareholders. It sounds like "spin" but at Fraser Russell we try and turn the audit (and expense) into a beneficial experience for our clients. We can perform your auditing and financial analysis with a minimum of fuss and maximum efficiency and accuracy. Generally Accepted Accounting Practice (GAAP) is currently undergoing a major shift, with the implementation of various documents that govern Financial Reporting Standards (FRS). The most prominent of these is FRS 102, which will change the way that all businesses report on their finances. This will affect how accountants file their reports, and what information they require from their clients. Impact will vary depending on the size of the business and your current methods of financial reporting. Here, we’ll go over a few of the key points. Exemptions are currently in place for businesses that are entitled to report as small entities, although this is due for consultation later in 2014. Most other entities will be expected to switch to the new FRS on 1 January 2015 – although early adoption is permitted for those who want to get a head start. The changes that most will notice first are in accounting formats. The Profit and Loss Account in current UK GAAP is being replaced with an Income Statement, while the Statement of Total Recognised Gains and Losses will be replaced with a Statement of Comprehensive Income. Key differences in terminology include: the Balance Sheet switching to a Statement of Financial Position, and the Cash Flow Statement becoming a Statement of Cash Flows. Another key difference will be reduced disclosure requirements for qualifying parent and subsidiary companies. Financial instruments (e.g. bonds, stock and loans) and investment properties will also be approached differently. These will have to be measured at fair value (basically open market value) with any changes in value being taken to profit or loss. Businesses will need to assess the impact on them, and communicate this information to those stakeholders who may be affected. Be sure to speak with us regarding the changes that may affect you and your business, to make sure you comply with the new standard. All members of the Audit Team have been put through internal training courses and are expected to be professional, polite and punctual at all times during the audit. Where possible, the same Team are used for subsequent audits giving our clients the opportunity to build a rapport and help reduce repetitive learning cycles that can often aggravate the client. Well, that's the theory! A full review is made of all controls, and advice given where they can be improved. Repetitive tasks are highlighted and current working practices are looked at with a view to help streamline the flow of information. Schedules are prepared of all key expenditure and common suppliers are revived to determine if they offer the best value. An evaluation is carried out on the current business system (manual or computerized) to determine if it meets current and anticipated demand. Contact us today or telephone on 0121 _647 5030 to find out how we can tailor a package to compliment your business activities at a price that is guaranteed to be competitive. Give your business an annual service and extend the Audit to make it more meaningful to you! Although based in Birmingham, West Midlands, our Audit services are used by clients throughout the whole of the UK and beyond. Don’t forget to subscribe to our Newsletter for all the latest updates and please feel free to interact with us via our Social Media sites and Blog.